The auction has now finished and we made the princely some of £5,130!!! Some lots were even sold twice with the kind permission of the donors. A very big thank you to all who provided lots, organised the event and especially those generous bidders. A full round up of the evening will be posted on the site soon. See below to see the final prices attained for the lots. One day use (9am – 6pm) of a Classic Ferrari 308 GTB including. Car to be picked up and returned to Laddingford, Kent. Maximum 250 miles includes fully comprehensive insurance; driver must be over 25 years and hold a full UK driving licence. The Pininfarina-styled 308 was introduced at the Paris Motor Show in 1975. It was designed by Leonardo Fioravanti who had been responsible for some of Ferrari's most celebrated shapes to date such as the Daytona, the Dino and the Berlinetta Boxer. The 308 is a 2-seater with sweeping curves and aggressive lines, and has become the most recognised and iconic Ferrari road car. The targa topped 308 was introduced in 1977 and was made famous on the television series Magnum PI. There were 12,004 308s produced from 1975 to 1985. The 308 models are embraced by Ferrari fans and critics today. A fantastic sightseeing helicopter tour of Kent for one person. In September 1939, Prime Minister Neville Chamberlain declared that Britain was at war with Germany. This left the South East and Dover with a special burden to bear. Only 20 miles from mainland Europe and the enemy, East Kent was the “doorstep of the free world” defending the Allied nations. On a clear day you can see the French coastline, imagine the flashes coming from the muzzles of the enormous guns Nazi Germany had entrenched at Cap-Griz-Nez and Calais. It would only take a minute before the shells would explode across Dover and the surrounding areas. Together with aerial bombardments, naval gunnery and later the Doodlebug and V2 Rockets, this part of the Garden of England became known as Hellfire Corner. AV8 Helicopters invite you to experience the sights that gave Hellfire Corner it’s name. Take off from Rochester Airport and fly along the famous White Cliffs of Dover. You can see the gun emplacements, shell holes and fly over historic Dover Castle. We progress along the coast to Folkestone where the Battle of Britain Memorial stands out at Capel-Le-Ferne and you get an idea what RAF and Luftwaffe Pilots must have felt in their Spitfires and ME109’s as they battled for supremacy during the Battle of Britain. We take in Hawkinge, a World War II Fighter Airfield, before turning in-land passing over many other historical sites on the way to view the home of Winston Churchill at Chartwell, then return along the North Kent coast passing the majestic Canterbury Cathederal & return to Rochester. A VIP afternoon for two at Chapel Down winery (Tenterden) to include lunch, wine tour and wine tasting. Bid winners will be chauffered there and back (resident within circa 20 miles of Laddingford). Arrive at midday for a 3-course lunch from a selected menu in our fantastic restaurant 'Richard Phillips at Chapel Down', which will be accompanied by a glass of Chapel Down wine. After lunch there will be time to explore the vineyards before being met by your guide and escorted to the vineyards where the cycle of the vine growing year will be explained to you. The tour will then move into our state of the art winery where your guide will lead you through the winemaking process from press right through to bottling line. Finally you will return to the shop for a tasting of a selection of our award winning red, white and sparkling wines. After the tour you are free to explore the herb garden or browse in the wine and fine food store. You can then have coffee in the restaurant or on the terrace overlooking the beautiful Kent countryside. To complete your day your experience will also include a voucher for £10.00 each to spend on wine purchases in the shop before you leave. Personal evening session with a Genealogist and Family History expert advising on research techniques to begin to build a family tree or trace a missing person with a further 3 months research assistance by email. This lot includes an annual subscription to www.findmypast.com worth £130. Our expert will spend an evening with you helping to construct your family tree and setting you off on a fascinating journey of discovery and potentially a new hobby. Using Census returns, Birth, Marriage & Death records and other information we can build a picture of your past. You can even connect with living relations you may have never known existed. In addition, our expert is happy to provide ongoing email guidance if you get stuck. Alternatively, you may wish to get in touch with someone whom you have lost contact with over time and wish to reconnect with. Either way, we can promise you a captivating voyage back in time. Bid NOW and find out if your ancestors were bankers, builders or butlers. 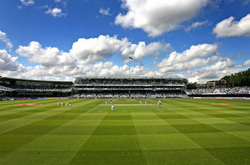 Two special tickets to day 3 of the Lord’s test match against Sri Lanka On Sunday June 5th. These are special tickets giving access to the Warner and Allen stands next to the Pavillion, with exclusive members only bars and restaurants, and a first class view of the action. This should be a great match and an excellent introduction to the home of cricket if you have not been before. Our very own Dr Mark will meet you both there (or travel with if preferred), he will guide you to your seats and generally make sure you have a fantastic time. A truly memorable experience is guaranteed! 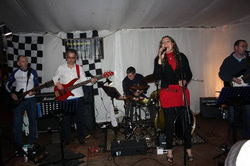 A five-piece band to play at your personal event. The ReSessions are an established five-piece band playing good, solid sounds from the 60's, 70's, 80's and 90's. Covering a wide range of genres such as Pop, Rock and Blues, our repertoire includes numbers by Eric Clapton, The Rolling Stones, 10cc, Snow Patrol, Beverley Knight, Tina Turner and Heart. They will tailor their set to the occasion and are equally at home in your local pub, at a charity event, wedding, birthday or anniversary party. They are local to Maidstone and are happy to travel across the South East to make your party go with a swing. Saturday morning clay pigeon shoot for up to 8 people at Hillview Clay Pigeon Shooting Club, set in private grounds near Staplehurst, Kent. There are three automatic and two manual traps which can give a wide variety of stands to suit both experienced guns or total novices. The lot includes guns, clays and cartridges, tuition for beginners, breakfast rolls and coffee/tea; full insurance is provided. “Smart, modern, bright – this long-serving West Ender is all blond wood and fresh sushi and sashimi. 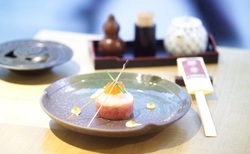 But, scratch beneath the surface and you can reap even richer rewards – sake toro shioyaki (salt-dusted grilled salmon belly), perhaps, or the kodako nanban age (deep-fried marinated baby octopus)” - Tatler Resturant Guide. High speed passenger ride at Brands Hatch in a 190mph track prepared Porsche 911 996 GT3 supercar. Expreience the thrill and exhilaration of being driven around Brands Hatch Indy Circuit by Dunlop Race Academy 2010 Winner, Simon Clark. One of the world's most iconic motor racing venues, Brands Hatch, comprises 6 corners over 1.198 miles including the infamous Paddock Hill Bend. You will be greeted, briefed and strapped in to the 380bhp supercar by Simon for three 20 minue sessions giving you ample opportunity to soak up the atmosphere and reflect on each lap. Dynamically the GT3 is sensational; track prepared with race bucket seats, 6 point race harnesses, roll cage, race brakes and capable of 0-60mph in 4.3 seconds. The circuit's unique combination of dips, cambers, fearsome corners and hills means it is still one of the world's favourite racing circuits. Paddock Hill Bend remains rated by many famous racing drivers as one of the great racing corners, plunging fast downhill. 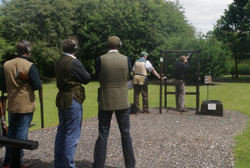 Individual clay shooting lesson at prestigious Holland & Holland shooting ground, 17 miles of West London. To include 50 cartridges & clays. Since 1880, the Holland & Holland Shooting Ground have offered unrivalled facilities for the sporting Gun. Set in sixty acres of rolling woodland and open countryside, just 17 miles from Central London, the Grounds combine rural tranquility with superb access to main transport routes such as the M40, M25, Heathrow and the London Underground System. Whether you just want a few practice shoots before the season starts, solve a problem with your shooting style, or simply learn from scratch, they are able to provide instructors whom between them, can boast over 100 years of expertise covering all requirements. 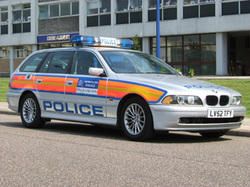 Personal six hour course on hazard awareness by highest level qualified driving instructor who specialises in police instruction of blue light driving and initial phases and tactical pursuit driving. The course is not about speed but focuses on hazard awareness and safer driving. Whilst the instructor has taught the SAS and SBS forces the course will be suitable for any driver who holds a full driving licence and your insurance company may even give you a discount on your car insurance having completed the course! Instructor, insurance, fuel and all costs paid for. Course to be arranged to be undertaken in Kent, or possibly another agreed location. Exclusive private visit for four people to the world famous Metropolitan Police Dog Training establishment near Biggin Hill, Kent. Your visit will include a presentation covering the history of Police Dogs, the everyday functions of the DTE and the operational roles of the dog section. A tour of the facilities from a member of the supervisory team includes visiting the kennels and seeing any puppies (if available). You will also see a display of General Purpose and Specialist Search Dogs (Narcotics, Firearms or Currency subject to availability). A light buffet will be provided along with a chance to speak to some of the Instructors with any dog training questions you have. The visit must take place on a Tuesday to Thursday on a mutually agreeable date. Parish constables often took their dogs to work for company in the 15th century, but the first use of dogs by the police is believed to be in 1888 when two Bloodhounds were used during the Jack the ripper murders. In 1914, the Metropolitan Police Service introduced 172 dogs of various breeds to accompany officers on patrol. That year an officer and dog were commended for saving a person from drowning in a lake (and the dog got a new collar!). In 1938 two Labradors became perhaps the first true police dogs patrolling in Peckham. Following the Second World War, six Labradors were reintroduced to combat crime and in 1948 the first German Shepherd dog was used by the Metropolitan Police Service. The dogs were very successful and numbers grew until, in 1950, there were 90. In 1954 the current 15 acre Metropolitan Police Service Dog Training establishment at Keston was opened; where all dog training courses take place. Since then the Dog Support Unit has been at the forefront of Police Dog training and has trained instructors and dogs for service worldwide. 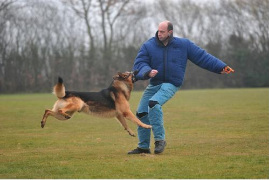 It is responsible for the training of all Met Police Dogs and regularly runs Home Office Instructional courses for many UK Police Forces and the UK Border Agency. It is constantly looking for new ways to use the special abilities of dogs to improve officer and public safety, detect and prevent crime. Today, around 250 Dogs are currently working across the Metropolitan Police Service for a range of tasks; from searching for drugs, firearms or cash to controlling crowds at football matches or demonstrations. 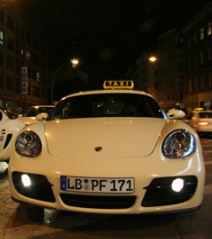 Chauffeur driven day/taxi in a Porsche 911 Turbo for 1 or 2 people. While away the day or evening whilst being driven around by our very own Tym. 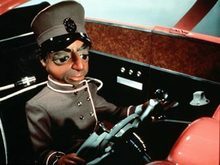 He can take you anywhere up to 150 miles or you can simply use him as a taxi service for your day or evening out. This could be a fun trip for someone who likes sports cars. 0 to 60 in 3.9 seconds, max speed 189 MPH, twin turbo - 420hp, 4 wheel drive system with amazing traction in all weathers and a Bose sound system. Need someone to do all those day-to-day jobs around the home or outside that you have been putting off? Our handyman Steve will travel up to 10 miles from Laddingford, Kent and will serve you from 9:30am to 5pm in return for a significant donation to Kent Cancer Trust and a decent brew during the day! No job too big or small!!!!! 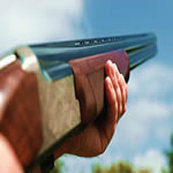 A one hour clay shooting lesson at West Kent Shooting School, Paddock Wood, Kent for two people to include 100 clays and cartridges, use of club guns, hearing protection and insurance. West Kent Shooting School is set in 20 acres of partially wooded and landscaped grounds. The range is carefully laid out to provide a totally natural setting for extensive shooting for both novices and experts, based in the beautiful tranquillity of rural Kent close to Royal Tunbridge Wells. Established since 1974 this shooting school is a family run business, with over ten qualified instructors. They offer one of the most comprehensive ranges of clay pigeon shooting sporting facilities in the South East of England, and are a CPSA Premier Plus Ground. Professional entertainer Gemma will provide a karaoke or disco party for a special occasion; children or adults. Gemma has been running Karaoke and Discos for over 8 years now and loves every minute of it. She caters for all needs and gently encourages audiences to participate whether they want to sing, dance or simply just listen. Gemma has the most up to date karaoke technology with a huge database of songs, updated monthly to sing or dance to; from Frank Sinatra to 50 Cent. 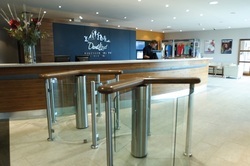 Stan is offering a month's membership for a family of four at the David Lloyd fitness centre at Kings Hill - valid anytime. Their immense gym area boasts the latest exercise machines, free weights and is complimented by aerobic studios and a stretching area. There are three indoor (2 juniors) and one outdoor swimming pool, 2 saunas, a whirlpool, a steam room and an award-winning Saks hair and beauty salon. There are also 10 indoor and outdoor tennis courts as well as 4 badminton and 2 squash courts to make them the largest racquet facility in the area. So either pump yourself up or relax and wind down...the choice is yours! Our superb Chef Nick, will come round to your house to prepare and serve a two course meal for two persons with accompanying wine. 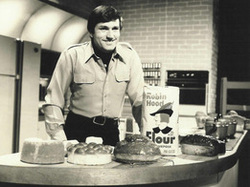 Nick will bring his own pots, pans, utensils and fresh ingredients. Once your dessert is served he will leave you to enjoy your evening, taking his mess away with him. A day's fly fishing at Bewl Water. This lot can give someone the chance to learn what fly fishing is all about from an experienced County & England guide; includes licences and equipment hire, if required. Bewl water is one of England’s finest and most attractive trout fisheries with boat fishing on much of Bewl’s 770 acres from the fleet of 54 well-maintained boats, and bank fishing accessible on more than half of the lake’s 17 mile shoreline. Bewl's beautiful Wealden surroundings and intricate shape appeal both to those who like the intimacy of secluded and sheltered bays, and to those who appreciate the huge expanses and panoramic views experienced only on the larger still water fisheries. 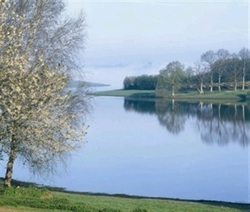 Bewl Water is a perfect venue for a day out for all the family, whether you are on the fly fishing experience or not. There's the Look Out restaurant offering excellent catering with stunning views from the conservatory over Bewl and its beautiful meadows and woodland. The Swallow passenger ferry sails daily from April to mid September offering 45 minute trips around the lake. Bicycles may be hired during the summer for the 12.5 mile ride around the reservoir. There are many lovely walks and a nature reserve. Many thanks to Mick the dentist's friend Andy for providing this item. ure & Simple Massage will provide four sessions of massage; each session will last about an hour for 4 successive weeks in Yalding with Barry Charlton, our holistic, sports and remedial massage therapist. This could be a combination of both holistic and sports massages depending on requirements. Holistic – A hands on massage which will help to encourage relaxation, relieve stress, stiffness, muscle fatigue and tight/tense muscles. Improve circulation, muscle elasticity, skin tine and texture also aiding better posture. Sports – This massage will help maintain body condition, restore mobility to injured muscle tissue, and speed up the healing process of damaged/over worked muscle. Can also be used as a pre and post event massage for effective performance and injury prevention before an event and increase fitness capabilities and performance potential. Chauferred in style and comfort in a Mercedes E class from your home in Kent to any London Airport and also picked up on your return. Up to 4 passengers plus all luggage (excludes dates 22nd July 2011 to 6th August 2011 inclusive). This fantastic item will be at the brand new Hair & Beauty Salon in Paddock Wood, due to open in April. Start with a deep cleansing treatment and mechanical facial using the world renowned Guinot Products which will incorporate a relaxing facial massage and soothing pedicure. Move on to the hair salon to the Bladerunner team to have your hair cut, coloured and conditioned with an intense conditioning treatment. The Bladerunner Team are all professionally trained at Vidal Sassoon and are experienced cutters and stylists. Go home feeling relaxed with a totally new look. The Goodwood Revival really is a magical step back in time, a unique chance to revel in the glamour and allure of motor racing in the romantic time capsule of the golden era of motor racing at one of the world’s most authentic circuits. The Revival is the world’s most popular historic motor race meeting and the only event of its kind to be staged entirely in the nostalgic time capsule of the 1940s, 50s and 60s that relives the glory days of Goodwood Motor Circuit. It is the biggest and best historic motor racing party of the year. 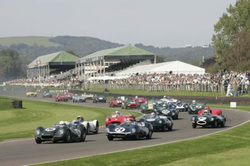 The Revival offers visitors the opportunity to leave the ‘modern world’ behind and join motor sport luminaries including Sir Stirling Moss, Richard Attwood, John Surtees and Derek Bell in an unabashed celebration of flat-out wheel-to-wheel racing around a classic racetrack, untouched by the modern world. Lot 24 - Catch your own supper at Bewl water! Spend a relaxing afternoon fly fishing at Bewl Water. An expert guide will look after you and drive the boat; includes licences and equipment hire, if required. There's nothing more serene than sitting by the shore of a lake, or gently bobbing around in a boat watching and waiting to reel in a fresh water fish. Passionate about angling, our expert will know just where to go to catch the best fish, so you might be in a chance with taking a couple of fish home with you for supper! Suitable for experienced and complete novice fisherman. At 770 acres the reservoir is host to a huge variety of wild flowers & insect life as well as being a stage for elite birds & waterfowl against a backdrop of England's finest trees. For good reason it is regarded by fly fishers nationally as the jewel of the South. Upwards of 40,000 Rainbows & Browns are trickle stocked annually & Bewl has a boat fleet of 54 and 8 miles of fishable bank for fly fishing only. Set in the beautiful Wealden countryside of Kent, the reservoir offers waterside walks, cycle hire, picnic stops, water sports and not forgetting the outstanding fly fishing for both rainbow and brown trout. Our gratitude goes to Graham Goddard who provided this lot. 4 x One Hour Personal Training sessions. Harri is a Personal Trainer with over 7 years of experience in the fitness industry, working in gyms in London and now running her own private gym. 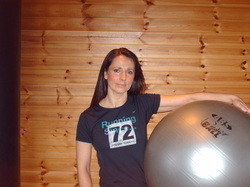 She trains her clients in a lovely log cabin in Hunton, with wonderful views of the countryside. You can train on your own or with a friend. An excellent way to kick start your fitness regime. Moet & Chandon Imperial Brut Champagne in wooden display box. Bid on it, open it, drink it.....simples! A 3 day weekend break for two icluding one free evening meal at the beautiful "Le Perchoir des Paons", a Chambre d'hotes situated in the Lot region of south west France. Accommodation by arrangement subject to availability and valid for twelve months. Winning bidders to arrange their own transport. “Le Perchoir des Paons” is the perfect location for a relaxing break. Set in a beautiful valley outside the village of Gindou, they offer Bed and Breakfast, high quality evening meals, Painting holidays, swimming pool and much more. The stone farm house is believed to be over 300 years old, with outbuildings and grounds of about 2 acres. The house benefits from lovely views across the valley, as it’s built on the side of a hill and basks in sunshine nearly all day long. See the website for full information and feel free to contact the hosts, Mike and Susie, prior to bidding if you want to confirm availability. This lot is for a round of golf for 4 at the prestigious London Golf Club on the International course. The invitation is applicable Monday to Thursday, excluding Bank Holidays - valid until 31st Dec 2011. This is undoubtedly one of the finest downland courses in Europe, having hosted the European Open twice. Fast, undulating fairways allow you to chase the ball into position. The course is punctuated with exciting risk and reward tee shots over water that really get the heart pumping. 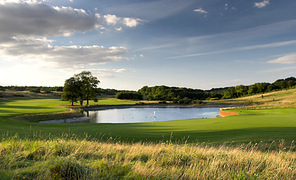 The International recently played host to Regional Open Qualifying and Stage 1 of European Tour Qualifying School. Afterwards you can put your feet up and kick back with a long drink from the impressive bar. Kalmora Spa Goudhurst is located in the beautiful ‘Garden of England’ Kent countryside. Sat a short drive from the village centre, the Spa has outstanding views of the green countryside, and is peaceful and quiet, allowing you to feel relaxed and have quiet time to yourself to unwind. 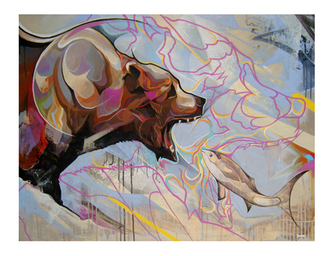 Danny O'Connor aka DOC is a Graphic Arts Graduate from Liverpool's John Moores Art School. Danny's pieces are built up with layers of paint transferred to the surface using a variety of techniques from drips and splashes to sweeping brush strokes and precisely drafted line work all forming together to create hyper stylized often abstracted paintings, predominantly featuring figurative and portrait subjects. He uses a wide range of media to create his work from acrylics, spraypaint, ink and paint markers, to household paints such as gloss and emulsion.